At this year’s annual SOAR Customer Conference in Orlando, May 14-17, we are bringing together BluJay’s customers, partners, and executives to network and discuss the ever-changing supply chain industry. The conference will include sessions focused on global trade, mobility, compliance, blockchain and more. We’ve already prepared the modern-day shippers and customs brokers for what to expect in their personalized sessions and tracks. Now, let’s give freight forwarders a glimpse of SOAR 2018. If anyone knows how to get things done, it’s a forwarder. They’re creative and attentive as they transfer goods across borders and trade zones via various modes of transportation – air, parcel, road, ocean, and even rail. As global trade and regulations continue to evolve, the logistics surrounding the transfer of goods become more complicated and require solutions that advance this process. Regulations such as trade agreements, customs guidelines, and compliance rules are modified frequently, so forwarders need to stay one step ahead. The solutions within BluJay’s Global Trade Network (GTN) make it possible to do just that and help forwarders move their clients’ shipments every day, easing this complex process. At SOAR, customers will witness how BluJay’s Transportation Management solution (TMS) can bring stability to their chaotic workflows through automation. TMS technology enables freight forwarders to manage by exception and tend to principal parts of the business. The automated workflow considers deadlines, milestones, date constraints, and customer priorities – resulting in less room for error, higher margins and better service. Additionally, TMS includes integration capabilities for financial accounting systems as well as customs and compliance solutions – giving customers end-to-end visibility! Forwarders at this year’s conference will also have the opportunity to attend training sessions that speak to solutions for their business. Attendees will hear from a world-class panel who will share insights on handling the chaos associated with freight forwarding, and how to integrate the right solution. Hot industry topics including Brexit, potential trade wars, and cybersecurity, will all be discussed. Here at BluJay, we’re continuously striving to deliver the best solutions for our customers. Through BluJay’s Customer Advisory Board (CAB), customers can lend their voices to the development roadmap. These ideas are being put into action, and BluJay is eager to hear what other daily business issues customers are facing so we can address and help ease these concerns. 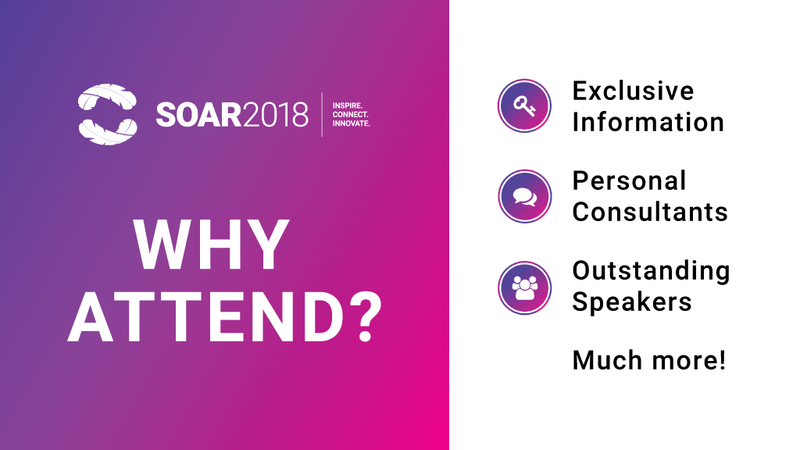 By attending SOAR, shippers, customs brokers, and forwarders will all be able to learn more about CABs and how they can take advantage of this important customer resource. We know this will be a valueable experience for all attendees, and we hope to see you there!